List" as Christmas approaches. 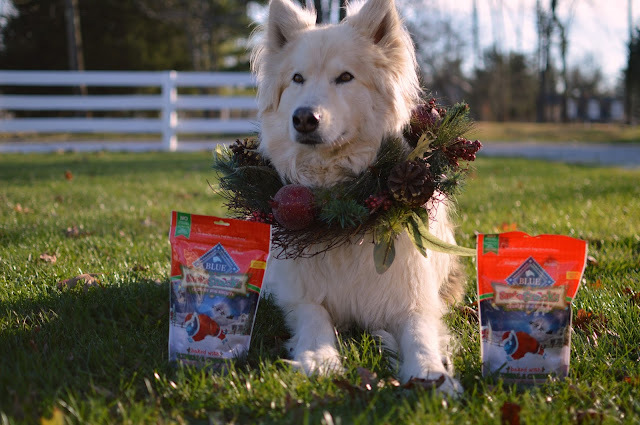 Instead of sugarplums, they dream of healthy dog treats, including BLUE™ Santa Snacks, which make perfect stocking stuffers for dogs. This post is sponsored by Blue Buffalo and the BlogPaws Professional Pet Blogger Network. I am being compensated for helping spread the word about BLUE Santa Snacks, but My Rotten Dogs only shares information we feel is relevant to our readers. 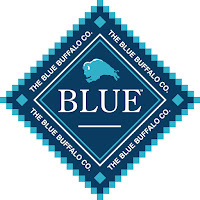 Blue Buffalo is not responsible for the content of this article. Neeko is on the nice list. She is gentle, a good listener (most of the time), and generally well-behaved. 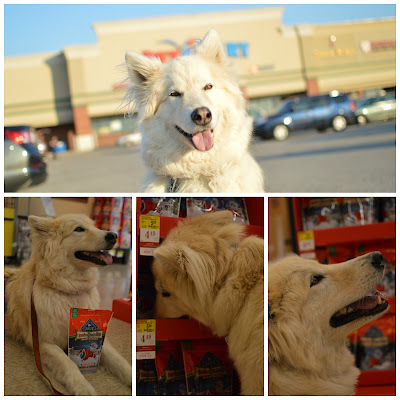 Seeing as how Neeko is typically nice, I took her to Petsmart with me, in search of BLUE Santa Snacks. I love Christmas, and everything associated with it. I buy gifts for my dogs and the dogs belonging to my friends and family members. The treats were easy to find, in their own display at the front of the store! Neeko was more than happy to help me shop for them. BLUE Santa Snacks can also be found online on the Petsmart website. Faolan is also likely to make it on the nice list. He is a sweet, happy-go-lucky, sociable boy, who listens most of the time. He does have occasional moments of naughtiness, though. His naughtiness typically inspires laughter in me. He is looking forward to some BLUE Santa Snacks in his stocking. 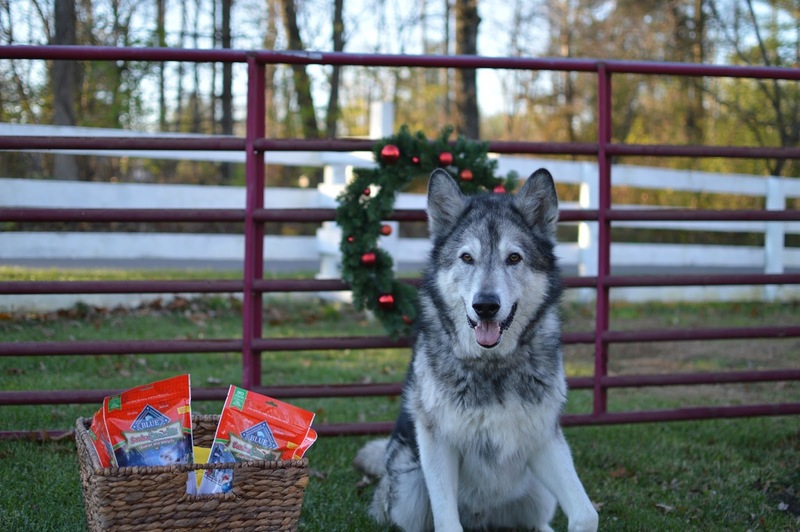 BLUE Santa Snacks are healthy dog treats made with natural ingredients to celebrate the holidays and our special connection with our dogs. And they smell delicious! They are baked in fun, festive shapes, which I find absolutely adorable. 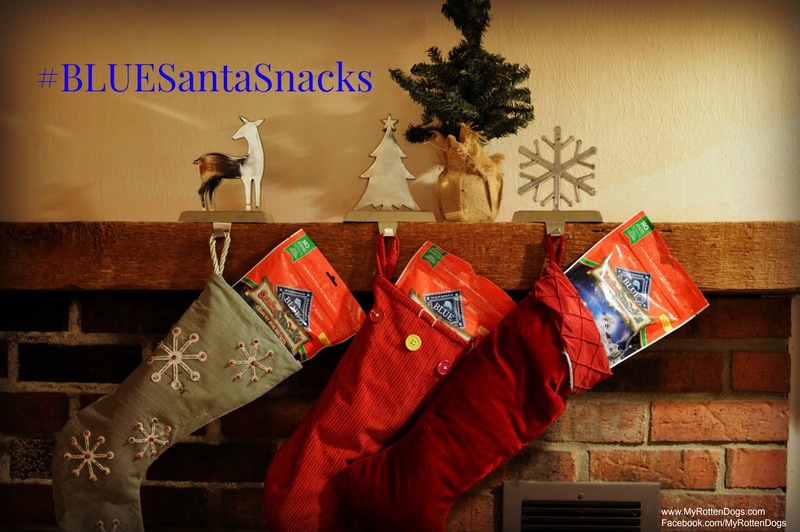 BLUE Santa Snacks are baked with oatmeal and cinnamon, and other high quality, natural ingredients. Oh Bruce. Anyone who reads here with any regularity knows that Bruce will be on the naughty list. He just can't help it. But his moments of niceness are incredibly sweet, and I love when he has them. The smell of cinnamon, pumpkin, oatmeal and other delicious ingredients proved too much for him to resist, and his true naughtiness came through as he quickly knocked the basket over and snatched a bag for himself. While I wouldn't recommend feeding a dog an entire bag of treats, I am not too concerned that he ate it, seeing as BLUE Santa Snacks are yeast-free, and made with quality ingredients. These limited edition, holiday-themed treats make the perfect gift or stocking stuffer for the dogs in your life! 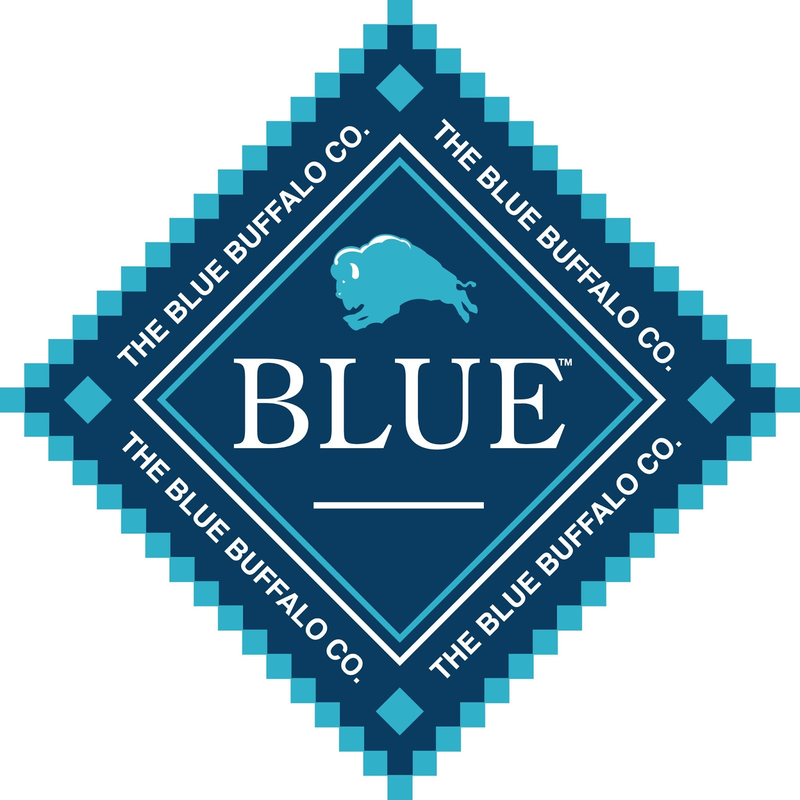 Find Blue Buffalo on Facebook, Twitter, and Instagram. 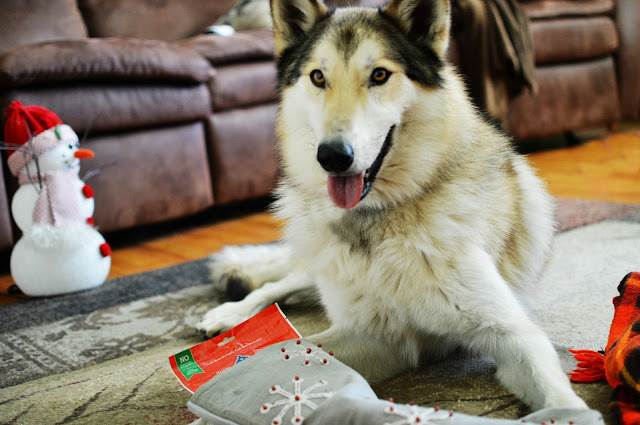 Are your dogs naughty or nice? Are you planning on buying them gifts for the upcoming holidays? Awww wow, this is so cool!!!! My boys have stolen an entire bag of treats before too. I think they're both on the naughty list, but they'll manage to get Christmas treats anyway. Cute post! Love the nice/naughty list. Knew there was no doubt where Bruce would end up... :) Our Abby would have been on the naughty list too. Rita would definitely be on the nice list - at least with us. I'm sure our neighbors though (whom she hates) would put her on the naughty list. Hey, stop by Pooch Smooches today! You won one of the Walmart giveaway gift cards! Hey, did you get the other email I sent to your my rotten dogs address? I had a problem sending the e gift card to your other address. No naughty pups!!! It's impossible! I need to check out these treats for Sully! They look and sound great. Great review! Oh, I knew Bruce would be on the naughty list!